I love lip products and since the liquid lipstick trend began, I have amassed quite the collection including many different brands, although I do have quite a few, I do still look at new launches and buy more if I like what I see. I'd seen a few people raving about the new Chloe Ferry Matte Liquid Lipsticks online and social media, so when I was asked if I would like to try one, I of course said "yes please". To be honest, I didn't and still don't know much about Chloe Ferry the person, I knew she had been in Geordie Shore and I had seen her on Celebrity Big Brother, but that is as far as my knowledge goes. She has however recently launched her own self branded cosmetics line and the first product to launch is the lip gloss, other products include false lashes and lip plumbers and she also has a range on sunglasses. 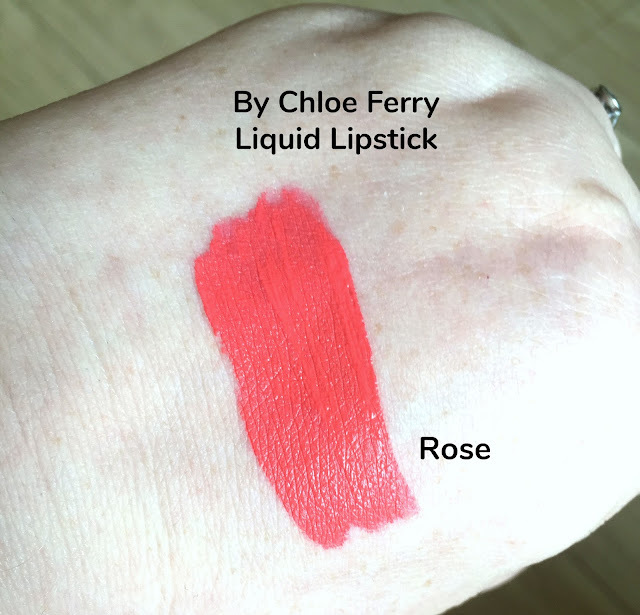 Being a huge lover of lip products and in particular, liquid lipsticks, and having read great things about her products, I couldn't wait to try out the lipstick, I have been using it for a few weeks now so today I am going to share my thoughts with you. 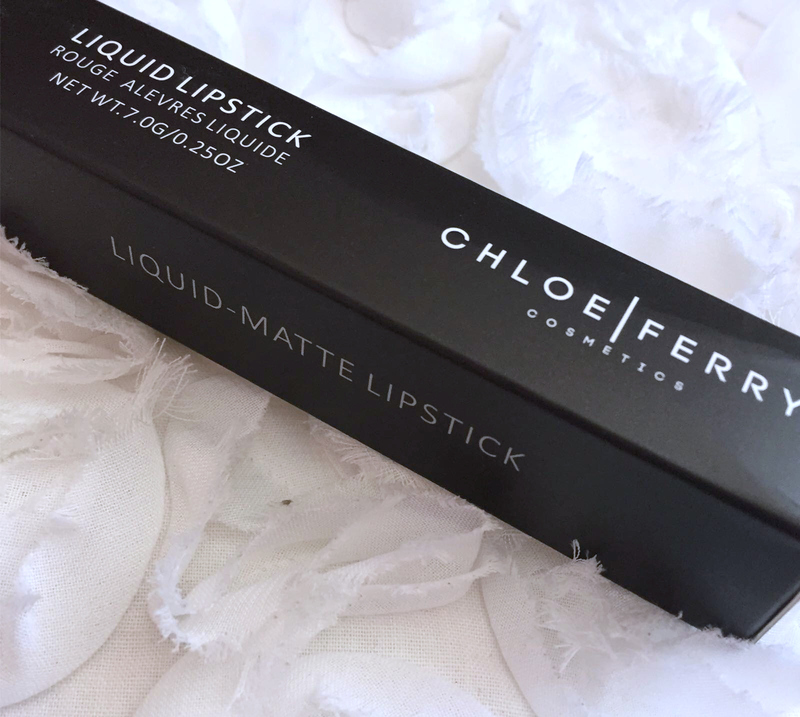 The By Chloe Ferry matte lipsticks are priced at £14.99 and come in 12 shades, the shade range has a good variety of colours and if you're a lover of liquid lipsticks with a matte formula, I am sure you'll find a shade suited to you. 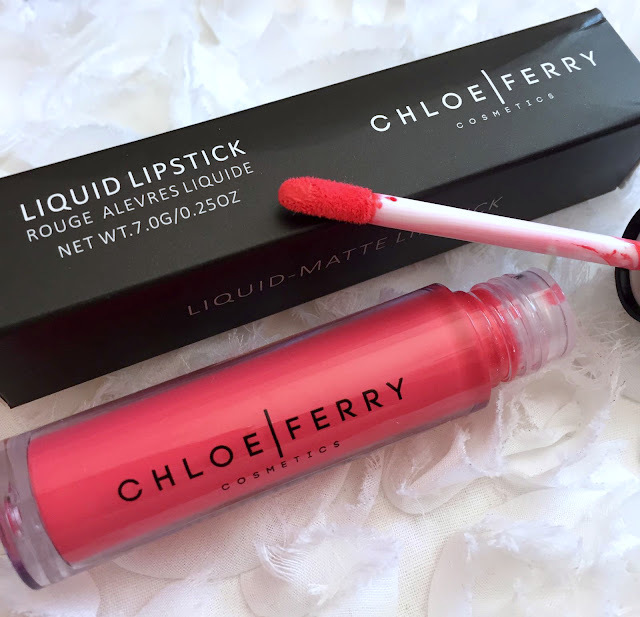 The matte lip glosses are completely cruelty free and suitable for vegans. I chose the shade Rose, described as "a deadly shade of pink that will complete any look" I think it is a bright shade that airs more on the side of a coral toned pink than a rosy toned, but that suits me better because as you all know, I love coral toned lip products. The packaging is nice and sleek, a black box with white writing and then the tube is clear with black writing and a black lid, the matte lipstick has a doe foot applicator. I find the lipstick easy to apply, the applicator is standard of many liquid lipsticks I own, the lipstick applies well and feels smooth and comfortable when applied, it dries to a matte opaque finish after a little while and I didn't find it felt drying or uncomfortable once dry. I find the lipstick comfortable to wear, it doesn't bleed or feather and doesn't leave my lips feeling very dry or uncomfortable. I find the lipstick wears well should I drink and chat but I do need to re apply after eating. The first time I wore it, I went to the cinema and had a bottle of drink and some pop corn and when the film finished, it had come off and left a line of colour around my lips, it was easily rectified though by applying another coat. If I wear the lipstick and I don't eat anything it lasts really well and doesn't need topping up or re applying, it lasts for around 4 hours if I am chatting and drinking but as I said, I do re apply once I have eaten. 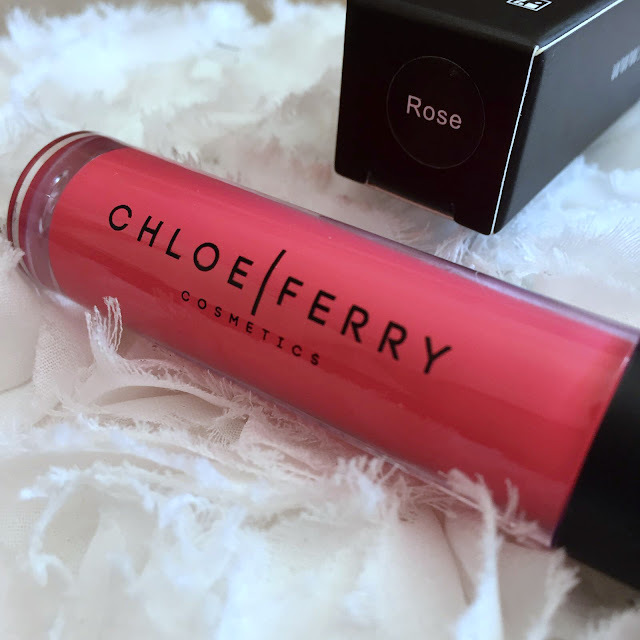 Rose is a lovely shade and perfect for me, I love bright shades and coral tones too and it is definitely something I will wear a lot over the summer months. 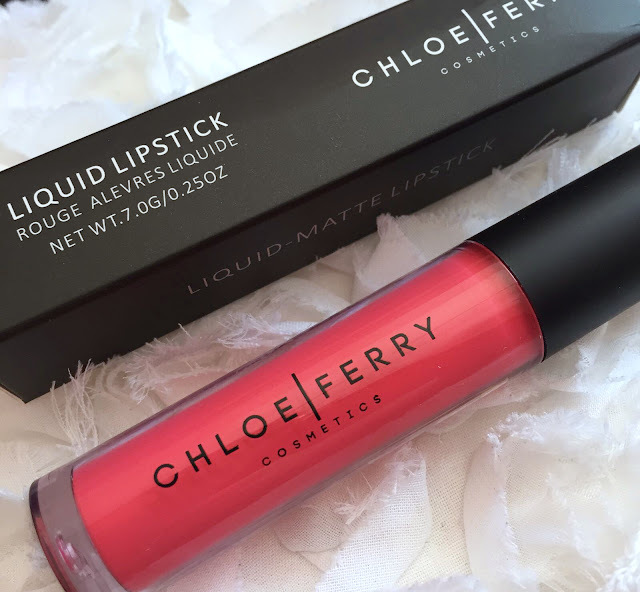 You can find the By Chloe Ferry Matte Lipstick on the Chloe Ferry website here, and if you are interested in any of the other products, you can find those on the website here. Have you tried the Chloe Ferry liquid lipsticks? Which is your favourite brand and shade of liquid lipstick? Let me know in the comments below. ✿ Post contains PR Sample - Read my full disclaimer here.